I find more and more of my daily time being taken by users and technicians from all around the country who have a little question to ask. I am new to all this, I guess it is all part of the job. Except it pulls you away from the job! 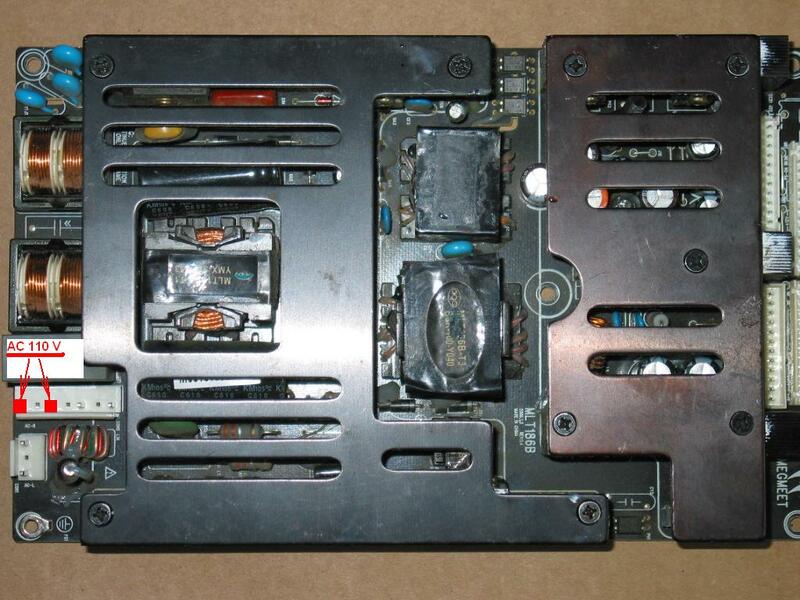 Oh yes: a few days ago someone called and said that since we repair power boards MGMEET MLT186 and MLT186B then we almost certainly should be able to repair MGMEET MLT070AX used in his Polaroid 3700 (same as Polaroid FLM-373B). This on the basis of them looking very similar. The caller somehow tricked us into telling him to send the board over here so we can take our chances. I am almost certain we warned him we may fail, but he put a spell on us by simply saying no we can't. Even worse, he used the spell and made us promise we'll fix it for the same price that we had listed for its smaller nephews MLT186 and MLT186B. Well the board arrived and I am relieved to say we were able to hold our promise. Just do not think we are proud with it OK? And with the explanation why I am actually getting to the heart of this posting. Oh, by the way, if you need your MLT070AX fixed feel free to contact Coppell TV Repair, before or after reading the rest of the story. 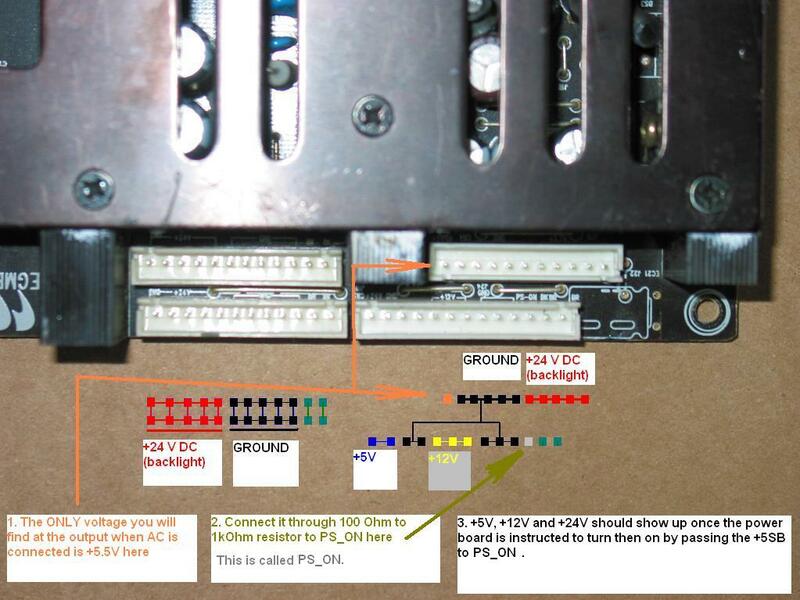 So we fixed the board for a total of $58, which was the price for which we have repair listed for MLT186 and MLT186B. Can you guess how much was the board for sale on the free market? The lowest I could find available was $120 before delivery! Most were $130+. For a power board of a 37'' 720p LCD TV of insignificant brand?! DO THOSE COMPANIES/PEOPLE LIVE ON THE SAME CONTINENT THAT I DO?! My local Craigslist offers 37'' Samsung LCD 720p for $250, a year old 37'' LCD Vizio w/ remote for $210, LG 37'' LCD for $230 and so on. I guess not everyone has or uses Craigslist. But then again holidays are coming. And would advise any customer to NOT pay more than $70-$80 for having their board repaired or replaced OR, when that doesn't work (because there are times when it doesn't) to keep the money and apply them towards the purchase of a new TV. Coppell TV Repair services MLT186B from ILO-32HD and as with many other services we sometimes receive boards that are actually functional. This post should help both those who wonder if their ILO-32HD is dead because of the power board or the main board as well as those who receive a serviced power board from us and think it was not properly serviced. MLT186B is relatively simple power board , producing one standby always on output voltage of 5V (can be a bit more without load, it's OK) and, upon instruction from the main board, activates the actual driving voltages of +5V, +12V and +24V. One uncommon thing about it is that the input AC voltage is supplied through an external button switch. Unlike most other power boards we've seen there are actually TWO connectors for AC input - one for the main input and another one, which takes the power from the main input, routes it through a button and returns it back to the board. For testing purposes this can all be circumvented by directly passing power to the appropriate return pins. Below are two pictures with diagrams that should help you test your board. The hardest part will probably be the connection between the 5V standby and the PWR_ON pins. Probably the easiest way to do it is to use a resistor and stuck its pins in the connectors that are already in the power board. Unfortunately you'd need to jump to the nearest RadioShack or buy such a resistor from us or another place. It is also possible to directly short the pins, but we advise against that practice in general. Always use resistor as you never know how smart and protective were the people who designed the board in the first place!